Most companies are reluctant to maintain a comprehensive spare part inventory because they fear that stocking assets like spares is counterintuitive when trying to effectively control operating costs. They expect plant managers to identify ways to reduce cost while maintaining the performance and efficiency of plant operations. Practical spare part management is the foundation for reliable plant operation and is crucial to a plant managers success. As plant manager, you need to know how to determine which spare parts are needed to make up an effective and comprehensive inventory system. Rather than using perception to determine what’s needed, it’s best to establish a strategic method that will adequately manage the movement and storage of your inventory. Operating strategy, inventory control and lead times are a few of the factors you should consider when developing or reviewing your part management system. Taking these factors into account can help minimize performance disruption, promote efficiency, and reduce carrying cost. Ultimately, producing successful spare part management. As a parts manager, you will either operate from a predictive or reactive position. Most companies fall into the habit of building their management strategy around reactive events. To successfully manage part inventory a manager should adopt a predictive strategy. While reactive management can be beneficial during a crisis, the essence of successful management is the ability to prevent problems before they arise. Predictive management of spare parts includes the collection and analysis of data, and the ability to look at the entire scope of operation to locate and solve important underlying problems that may surface in the long run. In relation to collecting and analyzing data, be sure to look out for patterns of failure that can reveal problems that are not clearly visible. Predictive management will help you to make better use of resources, cutting the time and cost associated with fixing issues. It is impossible to eliminate the nagging issue of stockout (out of stock parts) without investing in spares. However, if you try to identify the major cause(s) of your stockout you can limit the effects it has on your operation. Start recording the reason(s) for out of stock parts in real time. Additionally, review forecasted demand and look for parts that may have an incorrect order setting. It should be noted that the most typical cause for stockout is the delay that may exist within a supply chain (internally/externally). Your spare parts inventory does not have to be all-encompassing to be effective. In fact, it is unrealistic to stock large quantities of various parts. To achieve better control over inventory, develop clear criteria that will help define and categorize spares. Designations such as “critical” spares can help you prioritize your inventory. Recognize that terms like this are multi-dimensional, and can be refined further. For instance, a part can be labeled as critical to the operation or critical to specific machine function. A higher priority may be given to one designation over another, depending on its risk and impact if a failure should occur. Tip: Periodically review all spare parts classifications (i.e. critical and non-critical) since the classification of a part could change over time, based on replacements/substitutes that may become available. A regular review of spares for excess stock can help to reduce cost too. Properly storing and organizing spares in a designated, secure space is also beneficial for the control of inventory. A prompting for reorder will not take place if a part is taken without a record. Likewise, if new stock is placed on the shelf without a record, it cannot be accounted for. A review and analysis of your storage and check-out system can reveal reasons for stock inaccuracies. Having a thorough understanding of spare part lead times is critical to building a successful stock program. Part lead time is particularly important when determining which parts to stock. If downtime is not critical for your company, parts that can be acquired quickly and easily can be left out of a stocking plan. However, if lost production time means a significant financial loss for your operation, even a day or two without a part can be too long. Many parts with long lead times are made to order and do not carry expediting options. Therefore, it is best to keep parts with long lead times on hand. Tip: Off-brand components that can be obtained more quickly may present themselves as a viable substitute during a crisis. However, you should keep in mind that for certain equipment, these substitute/alternative parts could cause further damage to your equipment or system. All too many times we hear the following from operations and maintenance mangers: “Our equipment was just installed, it’s brand new, and we don’t need spares.” While it sounds logical for many reasons, this train of thought is wrong. There is also an assumption that vendors will supply perfectly functioning, quality parts (and they typically do). But, unfortunately, part failure upon startup is a common occurrence. Having proper spares on hand for the start-up/commissioning of new equipment is extremely important. If a part is found to be defective, you can mitigate downtime by having spares available for replacement right away. Tip: Work with your operations department to ensure that your budget includes funds for spare parts. Equipment vendors can also provide you with a list of recommended spares; sometimes lead times will be given for each part. Utilizing this information, you can better decide which parts need to be kept on hand. An oriented strand board (OSB) production facility had a set of grate bars that required immediate replacement. They did not have spare grate bars on hand, so 8,000 pounds of grate bars had to be ordered and delivered via specialty courier. Even with expedited delivery (which was quite expensive), production was still down for more than three full days. If these spares had been kept in stock, the expense and lost production time could have been avoided. In another case, a large building materials company discovered they had a faulty flame scanner. Despite a price tag of less than $300, the company did not keep additional scanners on hand. The original equipment manufacturer had the part in stock and could ship it out immediately, but the building materials company still lost a full 24 hours of production time while it was being shipped overnight. The loss of production time during the 24 hours cost them approximately a quarter of a million dollars. Inevitably, equipment will fail but taking some time to calculate the risk of downtime can help solidify your decision to stock parts. Making your life a whole lot easier. Tip: To calculate risk, you need to know what one hour of downtime will cost your company. Working from this information and factoring in lead times, you can determine the cost of an unexpected shutdown. Then compare that to the cost of purchasing and storing replacement parts. You can make an informed decision based on this analysis. 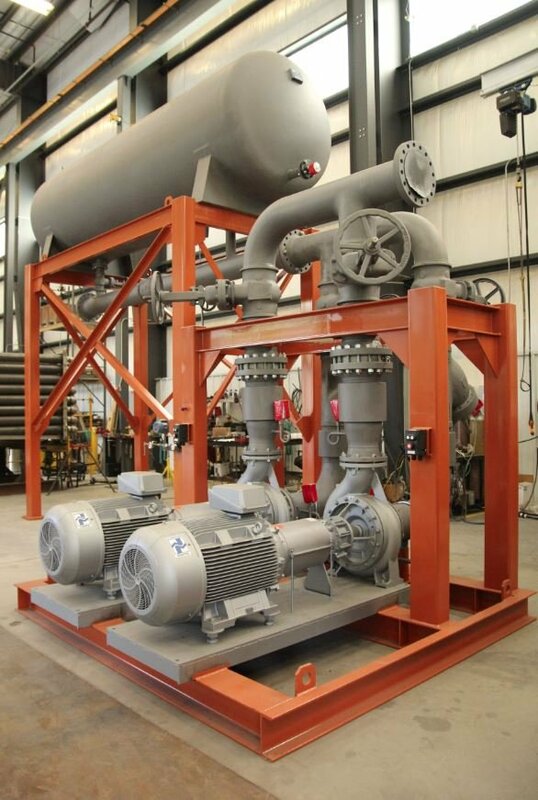 Keep in mind, even if the supplier has the part in stock, getting it to the site will cost a plant a minimum of 24 hours of unscheduled downtime. 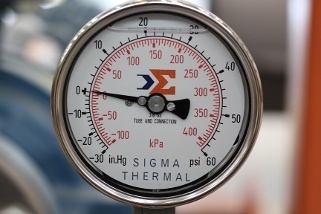 Sigma Thermal is an experienced process heating systems OEM. Commitment to and support of our customers is the foundation of our business. As a part of this commitment, we offer our Total Customer Care Program to all customers. With this program we can help our clients limit the downtime and costs related to unexpected maintenance issues. Visit our Total Customer Care webpage to learn more about Sigma’s spare part capabilities or to sign up for Sigma’s free, comprehensive Total Customer Care Program.